Ukpeaġvik Iñupiat Corporation (UIC) is the village corporation of Barrow, Alaska. 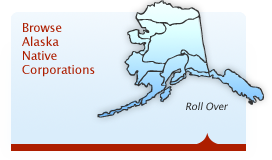 It was incorporated on April 19, 1973 under provisions of the Alaska Native Claims Settlement Act. During the development of ANCSA, our leaders were creative and resourceful, like our ancestors had been. ANCSA mandated the creation of 13 regional and 200 village corporations, each charged with corporate stewardship of money and lands provided under the settlement. When UIC was established, Barrow was still very much a subsistence-oriented community. We knew little about business, let alone running an ANCSA-mandated, multi-million dollar corporation. Whalers became corporate executives overnight. “We had to start from scratch,” recalls Lester Suvlu, who was a Treasurer on the Board of Directors. “We didn’t know how to run a corporation. We had to learn.” And we rose to the challenge. Today, UIC has steadily diversified its investments and now ranks 8th (2008) among Alaskan owned and based companies, according to Alaska Business Monthly.